Westminster Strength and Conditioning has been a Starting Strength Gym for just over a year now. We are one of five gyms in the country handpicked to affiliate with the Aasgaard Company and the Starting Strength brand. We are honored to have coached hundreds of people using the methods and principles of Starting Strength over the past several years. In order for you to understand how Westminster Strength and Conditioning has come to this point, I have provided a history of our gym, along with my personal experience regarding Starting Strength. Like many, I was exposed to Starting Strength through CrossFit as a member of the US Army. I quickly realized and understood the importance of strength, both for my ability to perform as a soldier at war and for my general fitness. In 2006, I picked up a copy of Starting Strength and began squatting, pressing and pulling as it instructed. With a late deployment to Iraq shortly before I transitioned out of the military, my consistency in training was sporadic at best. In late 2006, my time in the military was complete and I signed up for a Starting Strength Certification in Arlington, VA. This was the certification associated with CrossFit, so there was no testing and no Starting Strength Coach designation at that time. Following the hour and a half drive from Arlington, VA to Union Bridge, MD, I made the decision to commit to the training I had just received, and to begin to follow the Starting Strength program. That winter I trained alone in my garage without heat, my regimen beginning each night at 9pm. I had no choice about this; my wife Angie and I had a newborn, and I was commuting two hours to an eight-hour-a-day job. Certainly there were some setbacks, but I was amazed at my progress. In just six months, at 6’1”, my body weight went from 175 pounds to 235 pounds; all my lifts greatly increased and I was finally strong. This acquisition of strength literally changed my life. During this time I worked as a defense contractor for Northrop Grumman. Business in the DC area was booming for defense contractors and the money was good. The only problem was that I had no desire to continue what I was doing, commuting two hours a day and then sitting in a cubicle for another eight. I could not imagine spending the rest of my life at a job that held no passion for me. While stuck in Virginia/DC/Maryland traffic jams, I daydreamed of sharing the gift of strength with as many people as possible. In whatever free time I could find, I began studying for the National Strength and Conditioning Association Certified Strength and Conditioning Specialist’s exam. I drastically over-prepared for the exam and passed the test with no problem. At the same time, I was training my wife, and thus beginning to gain coaching experience. This soon led to training a few close friends in our garage as time permitted. As I gained more experience teaching the Starting Strength methods over the next year, I was presented with an amazing opportunity to begin a part-time career as a strength coach on contract with the US military. The position began as a strength coach for the Army three days a week for an hourly session. This soon grew to five days a week, two hours a day, with a second location. Around the same time that the contract position grew, Rip announced his new Starting Strength Seminar that required passing a platform evaluation and a written test. I had been teaching the military how to squat, press and pull based on the Starting Strength model I had learned a couple years prior, so I signed up and attended the seminar in 2010 at Guerilla Fitness in New Jersey. I passed the requirements, and in the process, I learned twice as much as I did a few years earlier at the old CrossFit/SS cert. I was one of the first of a handful to pass the requirement; I was now a Starting Strength Coach. Over the next year or two I taught more than a hundred of our nation’s finest how to squat, press, deadlift, bench, and power clean based upon the SS model. I also put hundreds on a linear progression novice program to make them strong. We figured out how to increase bodyweight, double and triple a soldier’s strength and still keep two mile run times well within standards, and in many cases, improve already respectable two-mile times. I was spreading the gift of strength to those that need it most, our nation’s war fighters. There was one major problem. I was now working two jobs, one that held little passion for me. I was waking up at 3:30am, driving an hour or more, training soldiers for a couple hours, and then changing clothes to work eight hours as a defense contractor. I had to find a way to support a family of four, going on five, while doing what I loved. That’s when I did what any sane person would do: I started a third job! Angie and I found 1800 square feet of warehouse space and opened up a gym. I had several years of coaching experience with the Army, and it was time to begin training the general public. The experience I had gained while training the Army cannot be understated. Near the end of my contract with the military I was teaching 8-15 soldiers at a time how to squat, press and pull. I became very good at getting a crowd of people to low-bar squat quickly and proficiently. 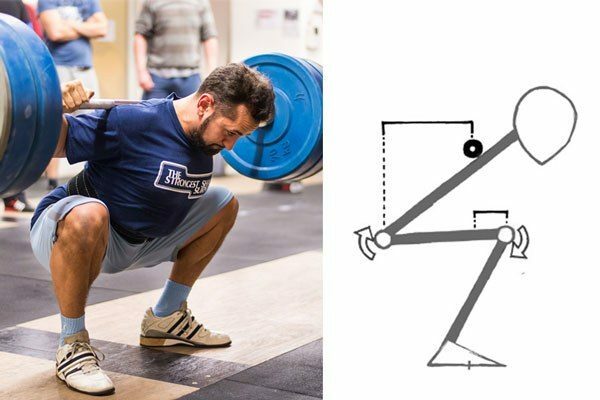 I learned how to recognize and correct nearly every problem you can encounter while teaching the squat quickly, doing so in a large group setting with only myself as a coach. I’m pretty certain I hold the world record for getting the biggest group of people performing technically proficient squat in the least amount of time. 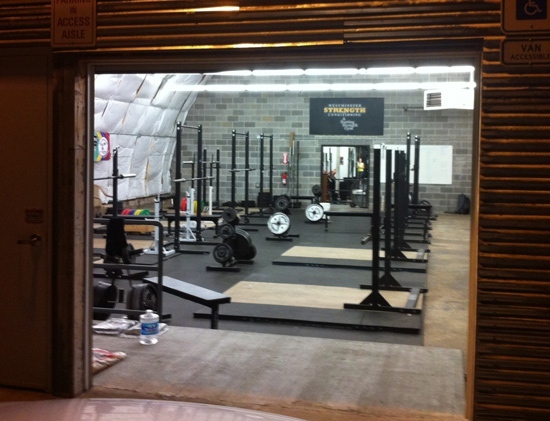 We opened the doors at Westminster Strength and Conditioning (WS&C) in July of 2010 with no clients or members. Every single person that walked in our door was taught the SS model and placed on some form of linear progression that was either the SS novice routine or a variation with slight modifications. Our clients quickly became stronger and dragged more people in with them. I was still getting up at 3:30am, commuting over an hour, training the military for two hours, working until 4pm, driving an hour back to our gym, and coaching there until 8pm. For five days a week my wife and I worked as hard as any two people can work, and gave a lot of people the gift of strength. Our business grew, and within a year and a half, we outgrew our space. We secured 6200 square feet of space and moved the location of our gym; I finally quit my day job and turned a Starting Strength Coach certification into a full-time career. We now have close to 200 members and every one of them squats, presses, and deadlifts, and every one of them has followed a basic linear progression of the five big lifts. Every square foot of the gym is set up to train. We have seven Olympic platforms, over fifty high quality bars, twenty-five squat stands and power cages. We have three Starting Strength Coaches on staff, and seven of our members have been to recent Starting Strength Seminars, with three more attending this spring. My wife Angie is now a Starting Strength Coach, an accomplished powerlifter, and one of the strongest women I know. Between her, me, and a handful of other coaches, we have taught close to 500 people the basic barbell lifts within the past few years. To give you an idea of the demographics of those that we train, I have documented a typical day inside the doors of “Westminster Strength and Conditioning – A Starting Strength Gym.” It’s important to understand that we run a few different programs, all of which are based on the SS model. Without getting into all of them and detailing the specifics, they are generally divided into three programs. We have a novice program that is the familiar linear progression. Everybody that shows up will begin with this program. Our second program covers all those who progress out of a basic novice model and move to intermediate programming. This program is a little more specific to the athlete or the goals of the individual. Some follow a basic Texas Method program with individual modifications, and some follow a four-day split model based on schedule and conditioning needs. Our third program is a general strength and conditioning program. This program is run out of our CrossFit affiliate and is a basic linear progression program spread over five days with some smart conditioning layered on top. Our members in this program are strong, and they continue getting stronger and are more concerned with their back squat PR than their “Fran” time. To give an idea of what a typical day looks like inside a Starting Strength Gym, I have documented a typical Monday at WS&C. I have chosen a few of our members to highlight the success of implementing the SS model in our gym. Mondays are squat days, aka “The best day of the week.” Every member at WS&C, regardless of his or her individual program, will be squatting today. It makes jumping out of bed at 4am pretty easy! I get to watch 100 people squat a few sets of five every Monday. 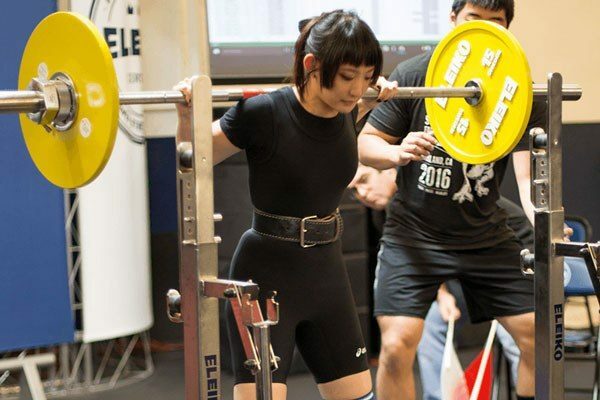 Most new attendees generally start at the gym in the beginning of the week, so we get to teach newcomers their first properly performed squat as well. Today will be no different. We have eighteen people for the 5am session; many of them are there for our general strength and conditioning program. They will be squatting and chinning today, followed by a quick conditioning circuit of sprints, jumps and a couple of KB swings with a short rest interval. The circuit will take about eight minutes. A few of them are following an intermediate program with more specific goals, and two of them are on a novice SS program. The gym at 4:50am on Monday. Today is squat day. In about 15 minutes there will be 20 plus people occupying nearly every squat rack we have. 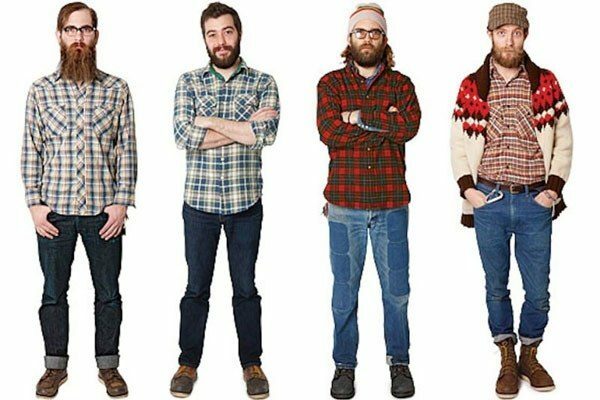 As I look around the room of eighteen preparing their racks to squat, I see many different people from various walks of life. Deb is 62 years old and weighs 90 pounds. She had just had a bone scan that showed some decreases in bone mass (osteopenia) and the doctor wants to check her again in six months. We immediately got her squatting, pressing and deadlifting. This morning she will squat about 50 pounds for 5 sets of 3 reps. She is only a month or so in, and when she arrived she could not squat the lightest bar we have, a 22 pound junior bar. This Thursday she will deadlift 90 pounds, her current body weight, for a set of 5. By the time she gets her next bone scan, Deb will be strong. We are pretty excited to see what happens with her results. Her son, Casey, who brought her to us, is also here at 5am with her. He came a few months ago to train for his first triathlon. Of course the reasonable thing to do was to get him as strong as possible. He trains the big 5 at 5am and then works specific training in later in the day. Within the first 6 weeks of returning to WS&C, he had a follow up appointment with his doctor. He had gained 12 pounds from 195 to 207, yet lost three inches on his waist. In contrast, the strongest guy in the room this Monday is Troy. He has 370 on the rack and will squat it for 4 sets of 5. Troy is 48 years old, and is probably the most dedicated guy I know. He has been at the 5am class for as long as I can remember, and he’s always parked at the back door when I show up to unlock. He follows a 4-day TM split and works in some smart conditioning 3 or 4 days a week. Troy is training to win the CF games this year in his age division. He’s been following a 4 day split for a few months now, and is up about 14 pounds. He is extremely strong for a man pushing 50. Troy at 5am during his 4th set of 5 at 370 pounds. Troy also has some pretty strong and talented kids. His oldest son Zach trains with us every morning over the summer while he is home from college. He plays college golf at one of the best golf schools in the country. I’m not sure how much weight and strength he gained, but he has gotten big and strong; he looks exactly like a younger version of his dad. His dad tells me that Zach is a different player late in the rounds after his summer with us; he has less fatigue and is hitting the ball extremely well. Troy’s daughter Erin will be at the 9am with her mom. She’s home for the summer from Princeton where she plays lacrosse (more on her later). If that’s not enough, his younger son Chad has also trained with us during his off seasons for a couple of years. Chad played lacrosse and football in high school. He smashed through his novice progression when he was 17, gaining considerable weight and squatting well into the 300s for work sets. He will be at the 9am session following some intermediate programming as he spends his last couple weeks with us before heading off to start his college lacrosse career. The 6am class is usually a bit smaller. Today is no exception, so I welcome the opportunity to drink a cup of coffee and explain the finer points of aggression to two young girls who look at me like I’m insane! To keep females progressing, at some point you need to tap into their aggressive tendencies; some possess this naturally, but others need to be taught the finer points of the mental side of lifting. This morning we have 10 people. One of the first through the front door was Linda. Linda is the Director of Physical Education in the County and undoubtedly the strongest 61-year-old woman I know. As a former gymnast, she showed up in the spring already holding considerable muscle mass. She trains for a sprint triathlon each year. I remember our first conversation when she walked in; we talked about how her programming would have a major strength focus, and that I needed her to run less. Her facial expression was the same as every other runner I have said these things to – a blank stare of disbelief. As a coach, most of my success revolves around being able to explain to people the benefits of strength training and the effects of strength on their athletic performance and their general quality of life. I find myself having this conversation with strangers daily. If you cannot do this you will have a difficult time getting the average person to complete their first set of squats with success. Once you get the beginners under the bar, it only takes about a week for them to feel stronger and to begin to realize how increasing their strength will help them in every aspect of their lives. Linda trusted me and a month into her training she jumped on the scale at her doctor’s visit and was up 5 pounds. I have no idea how much of that was muscle gain, but I will tell you that Linda walked in on her first day shredded, and the day she jumped on the scale she was shredded still with visible six pack abs. If any of it was fat gain, I have absolutely no idea where it could have accumulated. As a strength coach I still have these crazy learning moments at the gym and this was one of them. If a 61-year-old woman could put 5 pounds of muscle on in 30 days without even changing her diet, every male I train, including me, has no excuse. Today Linda will squat 155 pounds for 5 sets of three, and in her time with us I have yet to see her bar speed change much. She is an amazing athlete. 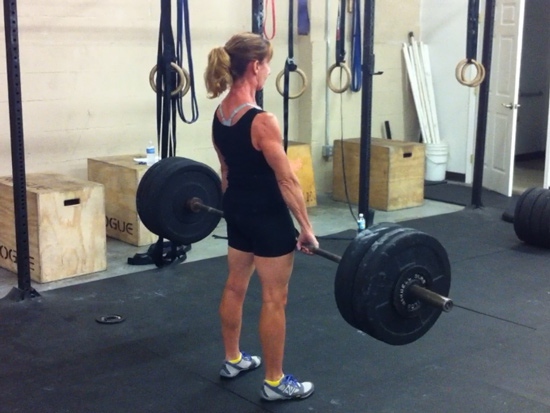 Linda pulling 215 pounds for an easy single after less than one year training with us. Linda, at age 61, was introduced to the world of strength training and she fell in love with it. This has turned into a blessing for our gym because of her position within the county school system. Last spring she organized a teacher’s in-service day and brought 20 of the county’s PE teachers to WS&C. We spent 6 hours in front of high school PE teachers conducting a mini Starting Strength clinic, an hour and a half of lecture and four and a half hours of practical instruction on the platform. It was an amazing day. Every high school weight room in this county now has a copy of Starting Strength: Basic Barbell Training on the shelf. The training went so well that I have been invited to speak at the Maryland State Convention of PE teachers in October 2013. I have been given an hour in front of hundreds of the state’s PE teachers and coaches. My passion for strength training is contagious, and I am very excited to be in front of a room full of people, introducing them to properly designed and coached strength training. 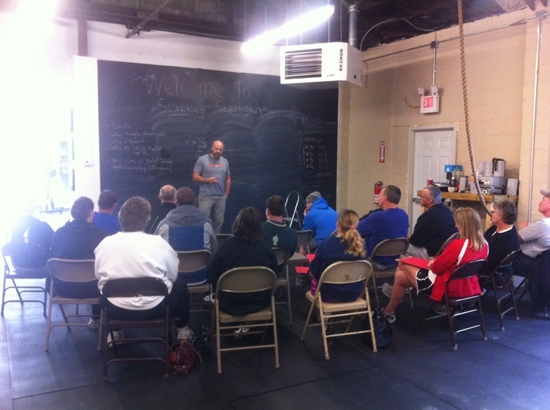 County School teachers spend 6 hours of lecture and practical hands on training on the Squat, Press, Deadlift, Bench Press and Power Clean at Westminster Strength and Conditioning. School starts here in a week, and Linda asked me to run a breakout session during the county’s teacher orientation. I will be in the weight room with high school teachers reviewing the finer points of the major lifts and how to coach them. This will also allow me an opportunity to meet some of her high school teachers who have worked all summer on a new curriculum for a girls-only strength class. Last spring a few of the teachers were motivated by what they saw during our 6 hour SS camp and they wanted to get more girls into their classes, so they decided to set up a girls-only weight training class. If all goes well, we will have a class full of teenage girls on a novice linear progression this fall. At the other side of the gym Scott is warming up for his squats at 6am. He and his wife are regulars and have been with us for a year. I remember Scott’s first day well; he walked in looking sick and frail. He had just finished a length of time on the new “Ideal Protein” diet a local physician is peddling to overweight patients, in which the person has to purchase and consume expensive protein shakes. The protein shakes compose a significant portion of the person’s diet – one small portion of lean protein and several cups of greens a day are the only real foods allowed. And the dieters are told not to exercise – no strength training, no cardio, nothing. The first thing I noticed when Scott walked in was his noticeable lack of muscle mass. The guy, at 55 years old, was skin and bones. 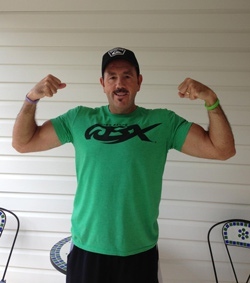 To compound matters, Scott was recovering from lower back surgery following a car accident in 2008 that had left him in severe and chronic pain. Prior to the surgery in November 2011, Scott had a lot of difficulty walking and was issued a permanent MD disability tag for his car. There were times the pain limited his walking distances of a mere 10-20 feet before he had to stop and rest. His first day was a Thursday, and ironically, it was deadlift day. Angie was helping me coach that evening and I will never forget the look on her face when I made it to the second step in the deadlift (bend forward at the waist without bending your knees and grab the bar) and we watched Scott attempt to reach down and grab the bar. I had a 22-pound junior bar loaded with 5 pound training plates to get the bar the proper height from the ground. It was all he could do to pick that bar up. We spent weeks just trying to get Scott to place his back into some form of extension. I must admit there were times that I wondered if we would be successful in helping him. As it turns out, Scott not only learned how to place his back into extension, he has turned into what we call a “beast” around the gym. He is now 30 pounds heavier and looks like a physically strong man half his age. The guy is nothing short of amazing, and I recently watched him pull 335 pounds for an easy single on his one year anniversary of walking into WS&C. Scott after a year with us. He has gained over 20 pounds and at 56 years old has squatted, pressed and deadlifted himself into a full recovery from major back surgery. The first day I taught Dave to squat he could not get below parallel due to scar tissue preventing any more flexion at the knee. He was big enough that we had to use 135 pounds on the bar just to get him in a proper position and allow the weight to begin to potentially loosen or break up the scar tissue in the knee joint. We started him squatting two days a week, adding 5 pounds each training session. For the first weeks, he could not break parallel. After about a month, Dave descended into a squat, pausing at the bottom to allow the weight to work on his range of motion. He heard and felt a pop in his knee; the weight then pushed him below parallel, and then he stood back up. The next rep smoothly went past 90 degrees flexion at the knee, turned around a couple inches below parallel, and then he stood back up. I was not watching the rep, but he explained the story to me with his John Wayne accent and cadence. I watched his next set of squats, and sure enough, they were deeper. Dave has only been at it for a couple months, but I have seen him squat 245 for 3 sets of 5. He has good days and bad days with his knee, but he always feels better the day he squats. We look forward to seeing what the future holds for Dave. It’s pretty quiet at 8am now that school is starting up. I have new members on their first day, so the hour will move pretty quickly. When newcomers walk in the front door for the first time on Monday, I immediately begin looking at their anthropometry and imagine what they will look like at the bottom of their first squat. I try to anticipate any problems we may have and it’s almost a game to see if I am correct once we start. Regardless of the problems we may or may not see during that first squat, I always look ahead to what their squats will look like 6 months from now once they are strong. It’s pretty exciting to watch a person’s first squat and see some awesome anthropometry at the bottom. They usually do not share my excitement when I enthusiastically explain to them that they are going to be freaking strong and have a beautiful squat. Again I’m pretty sure the blank stare confirms that they think I’m insane. While I’m teaching the squat to a new member, Karen warms up her squat at the other side of the gym. Karen came to us with a significantly bad back. It’s been an issue for her for years. She attended our Women’s Only Strength Clinic held in the spring and realized the only way her back had a chance of getting better was by her getting stronger, and she would do it by squatting and deadlifting. Over the past couple of months I have come to respect her toughness. There are days I can see she is in visible pain, yet she perseveres in gaining strength. She understands that she will not be better in a day, a month, or even 6 months, but she knows that she is out of options and that no one and nothing else has improved her back pain. She has turned to the barbell as her last hope for relief. Time will tell how successful we will be, but something tells me a year from now things will be much different for Karen. This is a busy hour for us. Troy’s daughter Erin is here, the Princeton Division 1 Lacrosse player. Today is a pretty big day for her. She is entering her junior year and was the team’s second leading scorer last year. Before she headed home for the summer, her college strength coaches told her they would conduct performance testing the week after Thanksgiving break. 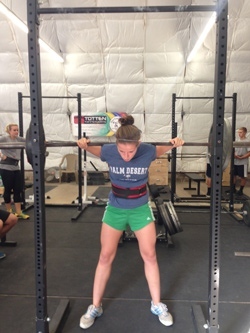 One of her coaches’ goals for testing was a 1RM back squat of 200 pounds. Today she will hit 200 pounds for 3 sets of 5 without much trouble. She worked hard on a 4-day split this summer and will return to school with well over a 200-pound squat, and still have a few months before performance testing. My fingers are crossed that the college has her on a program to continue her strength gain into the fall. She is more than optimistic about a national championship in the next 2 years and has worked as hard as anyone for it. The rest of the 9am class is filled with 10-15 women and a few men. 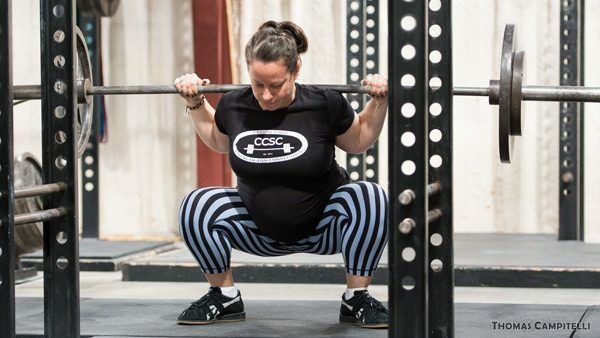 The women are mostly moms who have dropped off their kids at school and have arrived to perform a few heavy sets of squats for the day. This is a pretty easy class to coach. It doesn’t take you long to realize, on average, women are easier to coach the lifts for than men. They listen better, generally move better, take coaching cues quickly, and follow the program (warm-ups, sets, reps, and load increases) to the letter. I joke after the 9am class that I will close the gym to men and only train women at some point. Coaching would be so easy! Gym is closed. I usually grab a bite to eat and train with Angie at home in my garage or try and schedule people who are looking for SS coaching and who have found us on StartingStrength.com. Angie is training for the Maryland State powerlifting championships and has her sight set on a 300-pound squat at 148 pounds this year. She squatted 262 this past April. With 3 boys under 6 years old, a career as a Physician’s Assistant, a lifestyle as a business owner and Starting Strength coach, time for training is tough to come by, which makes it all the more impressive. This is our busiest time at the gym. Every program we run at the gym will be performed by somebody at 4:30. Most of the local athletes we train will be here to squat. Our novice LPs, intermediates, and general strength and conditioning members will fill every parking spot within a couple blocks. A couple of my coaches were here early, so the back door is open as I pull in, and there are already approximately 20 people setting up squat stands, and a few are well into their first work set. The first platform I see is claimed by Bret. He’s checking his training log to see what today’s training will look like. Bret showed up a couple years ago with his 15-year-old son Mason in order to get him ready for football. Bret stayed with him, sitting in a chair and watching him train every day. His son went from a skinny kid to a muscular young man in about 7 months. He gained 40 pounds of body weight and was squatting into the 300s for sets of 5. He had one of the most incredible transformations I have ever witnessed. It’s amazing what is possible when you get a bar on a teenager’s back at the perfect time during their development. After watching his son grow and become ridiculously strong before his own eyes, Bret asked Angie if she thought he could do the same thing. He had a history of having a pretty bad back and other arthritis issues, was overweight, and other than doing the normal work that country living brings, he had not done anything physical in years. After a few more months of watching and asking, he took the plunge. He showed up one day wearing athletic gear. Watching Mason and training himself, today he has one of the most technically proficient low-bar squats you will see. Within the past couple of months I have watched him squat a set of 5 at 315 pounds without much trouble. At 52 years of age his back pain is gone and the man genuinely loves to train. He’s one of my favorite people to see when I walk in the door. He is always ready to work. During our busiest time we rely heavily on our interns from local colleges. We have had interns at the gym for the last two years, and this is one of the best things we have done thus far. Today there are two interns walking the floor helping to coach our younger athletes. Within the last year Eric and Steve have turned into two of the best strength coaches I know. Eric is still in college and Steve recently graduated. Our program for interns is pretty simple. We try to pre-screen them to obtain the exercise physiology majors who plan on being strength coaches in the future. On their first day we train them in the squat, press and deadlift, and immediately put them on the novice program. They are treated just like our other athletes, except they must read Starting Strength and Practical Programming during their novice progression. As they begin to spend more time at the gym, during our busiest time slot they begin to shadow a SS coach as they teach the model to new athletes or fix the form problems of others. They continue to observe, read, and run their novice program until we start asking them to identify and fix various form problems in order to mentor them and to evaluate their understanding and coaching abilities. When we feel they are ready to coach, we assign to them a brand new first-day athlete member, and let the intern coach by himself. Both Eric and Steve have run a novice and intermediate LP with great success. 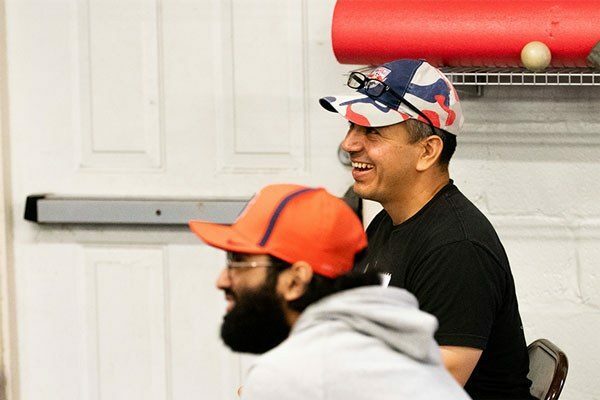 Steve competed in a powerlifting meet while still interning with us, and has just recently taken his experience and knowledge of the Starting Strength model to a local university as a volunteer assistant strength coach. He now values and understands the importance of strength more than most strength coaches with years of experience. 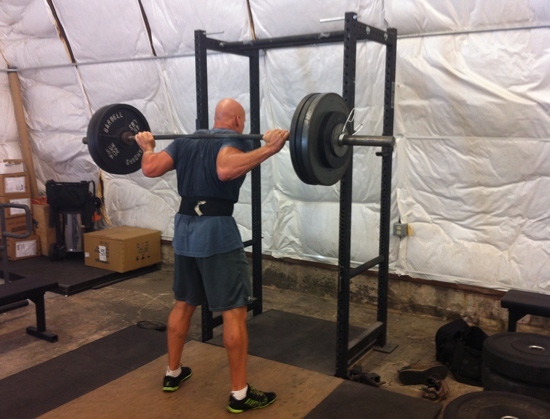 Eric ended his linear progression with a 345 pound 3x5 squat, 365x5 deadlift, 250 3x5 Bench and 147 3x5 press. He gained 20 pounds of bodyweight in 2 months and is now a usefully strong strength coach. Recently I have seen him squat 405 and press over his bodyweight at about 185. He will graduate shortly and a collegiate team will be lucky to have him as its strength coach. To get the point across about how important the experience is for our interns, it’s important to understand that the coaching and barbell experience they get during their year with us will likely be the only coaching and barbell experience they get in their entire collegiate career. The bulk of Eric’s education was spent learning various performance testing methods and ways to train and improve the various energy pathways. The extent of his practical coaching and strength training experience was learning how to count push-ups as classmates performed them. His gateway class, which was to prepare him for his internship, spent the bulk of their time calculating Metabolic Equivalent Tests (METS) to measure the energy costs of various physical activities. The second half of the class was spent calculating body fat assessments with skin fold analyses. After his internship with us, Eric will be attending the Starting Strength Seminar this spring and will show up with the ability to coach the SS model as well as any coach I have seen. Our interns are an invaluable help to us with the football teams we train as well. This year Eric and Steve trained 10-15 high school football players on their own from May until August. It was a great opportunity for them to develop a group of athletes from start to finish on the linear progression. They were able to see their hard work and great coaching in action by adding literally hundreds of pounds to the bar for each of these players based on the SS model. We have had equal success building some pretty strong kids for the local high school football coaches. Last year one of our high school seniors ended his novice program squatting 435 pounds for 3 sets of five. This year we trained a 16-year-old starting quarterback who squatted 425 for a single and gained about 25 pounds over the course of his time with us. His running back squatted well over twice his 180-pound body weight with a 415-pound squat. It’s no surprise that these two are having a big year on the field this season. Carrie is 16 years old and has squatted 215 pounds for a triple. She trains with us during her basketball off season. She is a gifted athlete, the kind that makes you look good as a strength coach. Today Eric and Sean, another one of our coaches, is working with Carrie. Carrie is a local basketball player. She’s 16 and has the physical build of a 200-meter Olympic sprinter. This is her second off-season with us. Last year, at 15 years old, Carrie wrapped up her LP the week before basketball ended, squatting 215 pounds for 5 sets of 3. Every time I look over and watch her squat, I am in disbelief. The girl is 5’10” and squats in the mid 200s at 16 years old. Every now and then you get an athlete handed to you who will make you look like a very good strength coach. Carrie is that athlete. She works hard, is consistent in her training, and will do amazing things both in the weight room and on the court. Most of our novice athletes are finishing up their chin-ups or deadlifts, and more of our intermediate athletes are rolling in and grabbing their favorite rack. I could close my eyes before I walk into the gym and be about 90% successful telling you who is squatting in what rack. Everyone who has actually trained has a favorite rack and a favorite platform or bar, and it’s always fun to watch the social interaction when a new athlete, unaware of the territory, takes a veterans’ rack. Today, like most days, the room is filled with about 75% women. We have about 15 female strength athletes competing in a Strongwoman competition in September, and they are taking their training seriously. Last year one of our ladies won the competition, and we locked up 4 out of the top 5 podium spots. With last year’s defending champion squatting 275 pounds for 3 sets of 5 today, I think there’s a good chance we will do quite well. Most of our female strength athletes squat 225 for reps and deadlift in the mid 200s to mid 300s at bodyweights ranging from 108 pounds to 200 pounds. One of our strongest females, Phyllis, has been with us for a couple of years. She showed up with her husband (who later became a SS coach for us) looking to lose weight. We placed her on a basic linear progression with smart conditioning a few times a week and she lost about 100 pounds in less than a year. She had a baby about a year ago and again lost significant amounts of weight within months of the birth of her son. I have recently seen her pull 350 pounds for a pretty easy single. She can push a heavy prowler faster than most men and will out-work all of them. Once we get her into the competition mode the sky will be the limit for her. I was explaining her abilities to Marty Gallagher and he nailed home the point of how she does what she does. Marty told me, “You do not need to be a great athlete to be a powerlifter, but great powerlifters are all great athletes.” Phyllis is a great athlete, and will be a great powerlifter or strongwoman one day. In the middle of all the ladies training tonight is Cory. Cory is sophomore engineering major at Virginia Tech. He has trained with us for a year and a half. Cory stopped in during his Christmas break after his first semester at VT. When he walked in he was a baby-faced young man who stood about 6’1” and weight around 205 pounds. Apparently Cory was a pretty decent local high school football player, and he explained to me that he wanted to walk on to VT’s football team. He said he wanted to try and walk on as a linebacker or fullback because that’s what he played at high school. I didn’t think much of it at the time; he seemed like any other kid with a lofty goal who would forget about it after a bit of difficult training. I told him he was drastically undersized for what he was attempting to do and how I would try to fix the problem. He responded eagerly and was highly motivated to begin doing exactly what I told him to do. During his break we taught him the lifts, found his starting weights and began his linear progression. He drank a gallon of milk a day during his break, as evidenced by a photo of 30 empty gallons in his bedroom the day he left to travel back to VT. He was noticeably larger and his lifts were all increasing quickly. When he came back for summer break he weighed about 250 pounds and he was squatting in the upper 300s for sets of 5. He didn’t look like a baby-faced kid anymore. He looked like a man and carried himself as such. 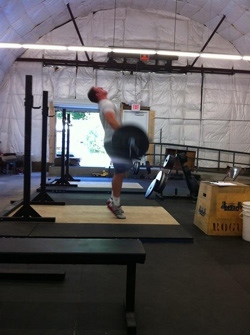 We spent another year working with Cory and he has now become one of the strongest athletes we have trained. He has squatted 500 pounds at 19 years old, pulled in the low 500s and pressed 250 pounds at about 225 pounds body weight. Cory never walked on at VT due to circumstances beyond his control, but he did everything he needed to do in order to make that team. At 250 pounds he ran a 4.7 40 and had a 34-inch standing vertical jump. Cory continues to train with us when he’s home on breaks, and he likes to entertain us with the funny things he sees going on at VT’s student gym. Cory power cleaning 300 pounds. The rest of the evening will be spent coaching about 60 more athletes while they get their Monday squats in. All in all, we will have trained approximately 140 members while squatting at various stages of their linear progression, from novice to advanced intermediate. As a coach, today is a most rewarding day. I have seen a person squat the first work sets of his life, a woman in her mid 30s squat 275 for sets of 5, and everything in between. By 8:15pm the lights will be turned off and the doors locked. Tomorrow will be more of the same as we continue to share the gift of strength. The process Rip, Stef, and the staff have developed for identifying, training, mentoring, and selecting the next Starting Strength Coaches is, hands down, the most successful program for producing knowledgeable and competent coaches in the entire strength and conditioning career field. The successes I have highlighted at this gym are only a small sampling of the success we have had over the last several years. Westminster Strength and Conditioning has been a labor of love, with Starting Strength as the framework.